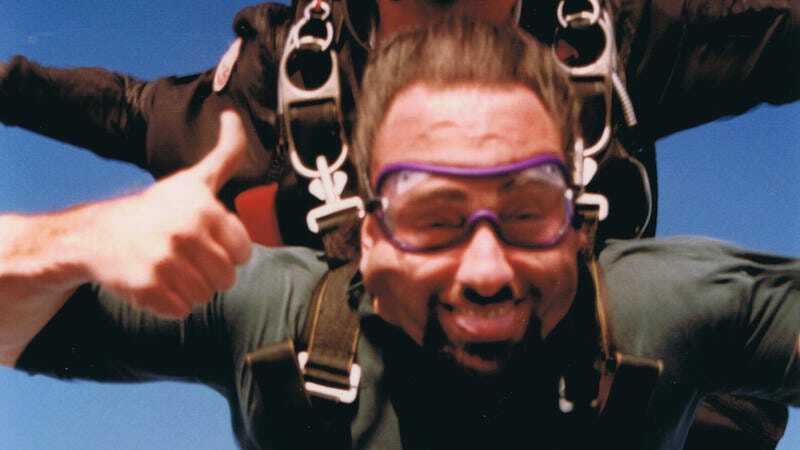 Is Dave Kleiman the Missing Link in Craig Wright's Satoshi Story? When Wright, an Australian computer engineer and inventor, publicly claimed that he is Satoshi this week, he also alluded to receiving help from Dave Kleiman, a Palm Beach County-based computer forensics specialist who died in 2013. According to Wright, Kleiman provided extensive help with the writing of the so-called Bitcoin whitepaper, the document that introduced the digital currency to the world in 2008. Kleiman was paralyzed from the chest down and succumbed to MRSA, an infection known as the “super bug.” His assets were meager at the time of his death, and Ira waived the rights to Kleiman’s inheritance, signing it over to the pair’s father. Dave Kleiman’s will was drafted in 2003, well before the advent of Bitcoin, and makes no mention of the currency. In February 2016, two months after Gizmodo and Wired published parallel investigations suggesting that Wright and Kleiman may have been involved in inventing Bitcoin, Ira Kleiman came back to the court, asking to reinstate his rights as his brother’s beneficiary. Kleiman’s petition cites “potential unknown assets,” of unknown value, in his brother’s estate, which were not counted in the original court filings. Of course, the fact that Ira Kleiman seems to be looking for a stash of bitcoins does not mean there are any to be found. As of last month, Ira had not yet filed an inventory of his brother’s “unknown assets” with the court. But if Dave Kleiman did possess a chunk of the Satoshi fortune when he died, that might explain the bizarre way in which Wright announced his own claim to having created the currency this week. Rather than sign a message with one of the keys that are publicly associated with Satoshi, or make a public transaction with some of Satoshi’s bitcoins—two methods that experts agree would make convincing proof—he posted a long, complicated message on his blog, based on a key signature that seems extremely likely to have been a forgery of some kind. If Craig Wright really is Satoshi, why didn’t he prove it in the simplest and most convincing way possible? Maybe because he doesn’t have access to those keys, or to those early bitcoins. Maybe they’re locked up somewhere on a dead man’s hard drive. Based on some of Gizmodo’s earlier reporting about Wright and Kleiman, I’m going to offer a speculative theory about what might be going on. Years before Wright went public with his claim to being Satoshi, he repeatedly alleged in private that he had a role in creating Bitcoin, and that Kleiman had helped him do it. Emails leaked to Gizmodo last year seemed to show Wright divulging his idea for a “new form of electronic money” to Kleiman in 2008, months before the public unveiling of Bitcoin, and asking for Kleiman’s assistance. The anonymous hacker who provided those emails also shared what appeared to be an unfinished draft of a legal contract between Wright and Kleiman, entrusting 1,100,111 bitcoins to Kleiman—a sum roughly analogous to the presumed Satoshi fortune, which is usually pegged at about a million BTC—to be paid back in the year 2020, or in the event of Kleiman’s death. Patrick Paige, Kleiman’s partner in a Palm Beach County computer forensics business, told Gizmodo last year that Kleiman always carried a titanium-encased USB drive on his person, and that if he were in possession of Bitcoin, they would probably be on it. When Kleiman died, Paige said, that drive was handed over to Ira. Ira is an intensely private man, and my attempts to contact him at the time were largely fruitless. He did reveal that Wright reached out to him about a year after Dave died, telling him that he and Dave had worked on creating Bitcoin together. At about the same time, Wright contacted Paige and another of Kleiman’s business partners by email, telling them that Kleiman was likely to possess a large sum of bitcoins—an amount “too large to email,” he wrote. He asked them to ensure that Kleiman’s wallet.dat files, which store the digital currency, were safe. According to Paige, Wright later divulged that he and Kleiman were Bitcoin’s inventors, and said that he wanted to ensure that Kleiman’s bitcoins made it into his estate, instead of sitting on hard drives, unknown and unaccounted for. Wright’s failure to move bitcoins from very early blocks in the blockchain has been taken by many in the Bitcoin community as evidence that he’s a huckster, out for money or notoriety. Adherents to this theory presumably believe that the emails and other documents leaked to Gizmodo, Wright’s repeated private assertions to acquaintances and business associates that he is the inventor of Bitcoin, his extreme unwillingness to cooperate with this outlet’s or Wired’s extensive investigations into his identity, and the strong endorsements of Wright by two of Bitcoin’s most revered minds, are all parts of an elaborate, years-long con, orchestrated by Wright. They may be right. Wright’s initial “proof” certainly didn’t lend him any credence. But the existence of Kleiman’s heavy-duty USB drive, and the possibility that Kleiman and Wright entered into some secret Bitcoin trust, present another option: Maybe Wright—or Kleiman, or both of them—really is Satoshi, but the fortune is locked up somewhere Wright can’t access. In a blog post Tuesday, Wright announced that he would be moving some early-block bitcoins after all, sometime “over the coming days.” Why the coming days? Why not now? Maybe he’s still trying to figure out where exactly they are. Staff writer and reporter at Gawker.